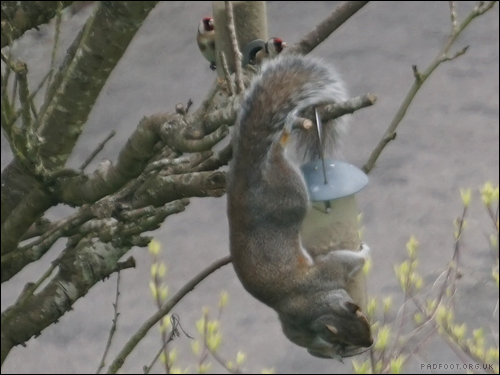 I know that squirrels like to take nuts from peanut feeders, but this one seems attracted to the seed feeder for some reason. 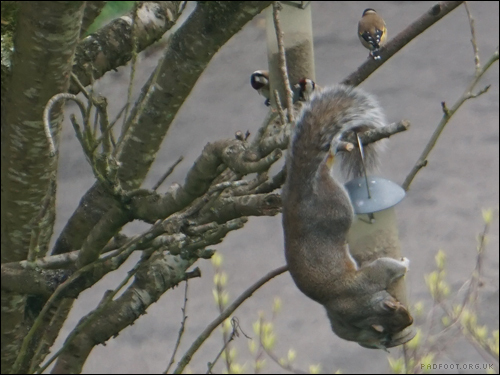 I’m not sure if it was able to get any seed out from the feeder, but the finches in the background don’t look too impressed! 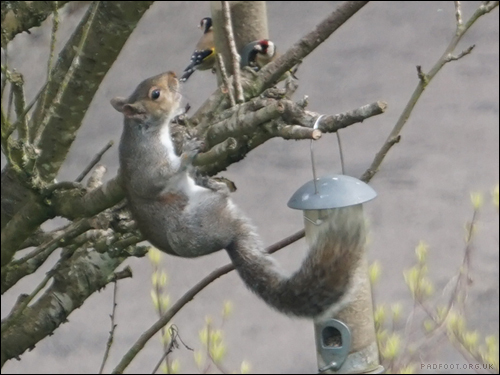 This entry was posted in Dragon Goes Wild and tagged #StayWild, finch, goldfinch, seed feeder, squirrel on April 23, 2018 by Dragon. 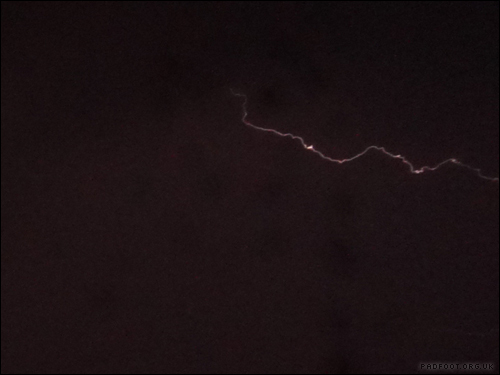 I admit I really like watching lightning, providing it’s not too close, and have been wanting to try getting some better lightning photos for years! 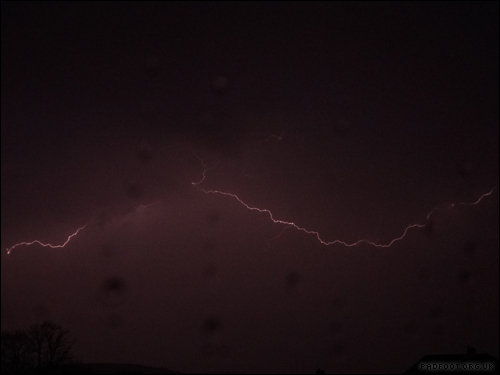 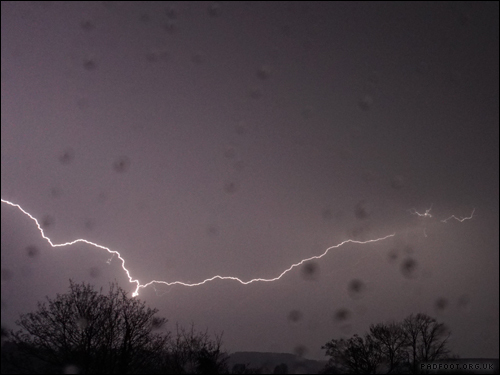 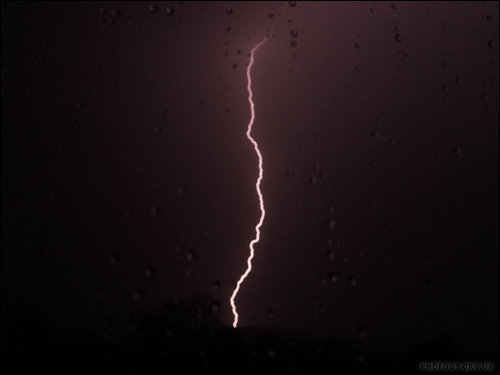 This evening we had a fantastic thunderstorm, where the lightning streaked across the sky for ages, so that meant I had plenty of opportunities to get some photos! 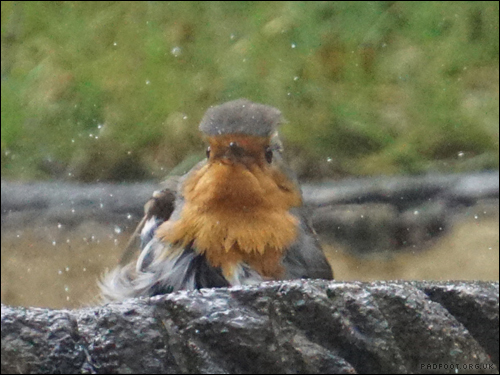 These were all taken from indoors, through a window – you can see some of the raindrops on the glass, but that just adds to the feel of the photo. 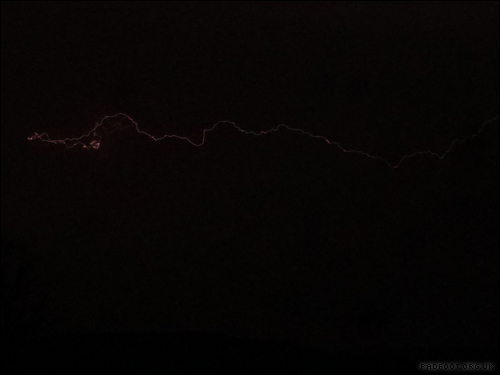 All of these were taken on a rapid-fire setting, with a short(ish) shutter speed, and there were about 350 shots with no lightning in at all! 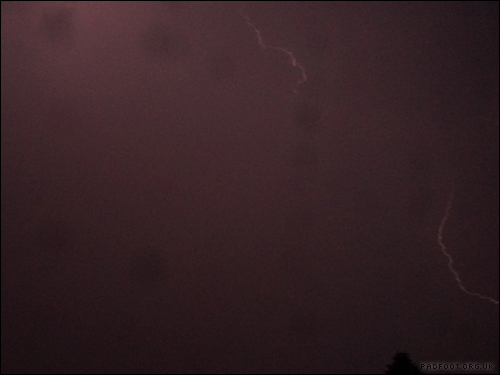 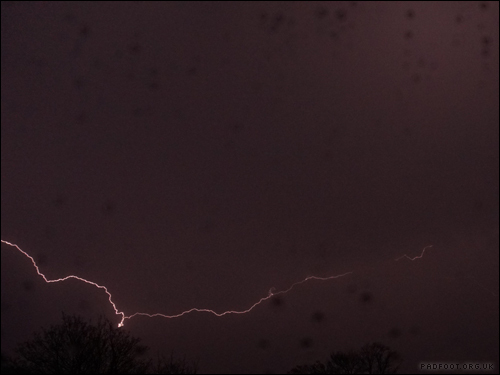 Whenever we get another thunderstorm, I’m going to try putting the camera on a tripod and using a slower shutter speed to hopefully capture more of the lightning in each photo. 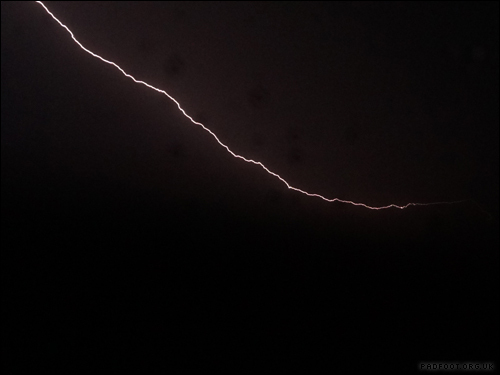 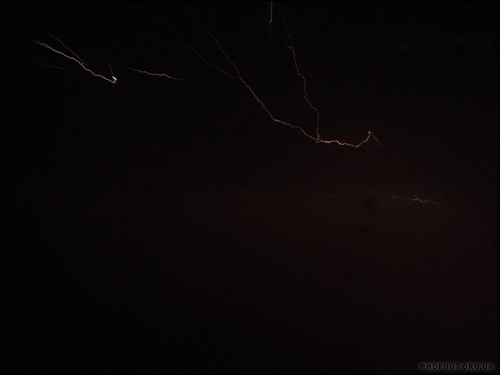 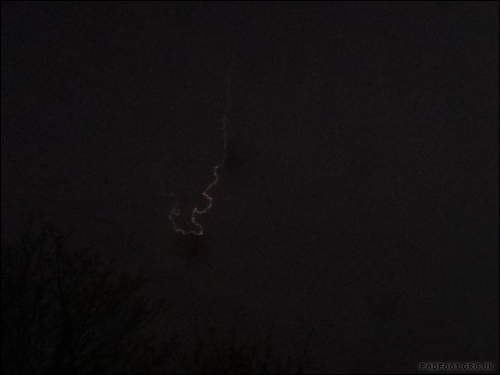 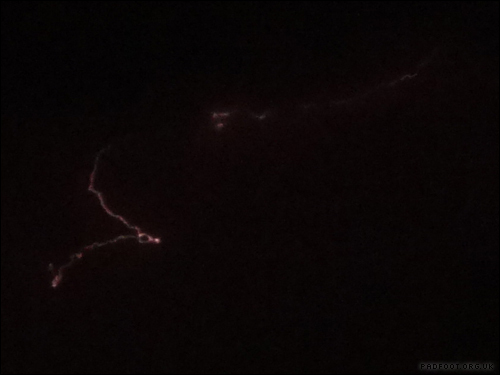 This entry was posted in Dragon Goes Wild and tagged #StayWild, Lightning, thunderstorm on April 21, 2018 by Dragon. 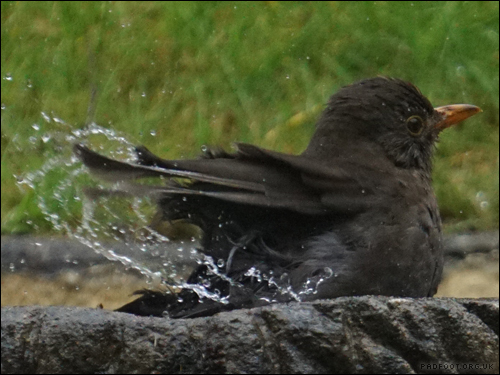 Hearing the distinctive call of the Buzzard, I expected to spot one or maybe two birds…. 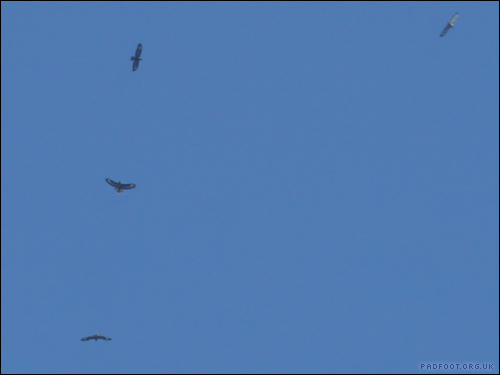 I hadn’t expected to see five Buzzards all circling overhead! 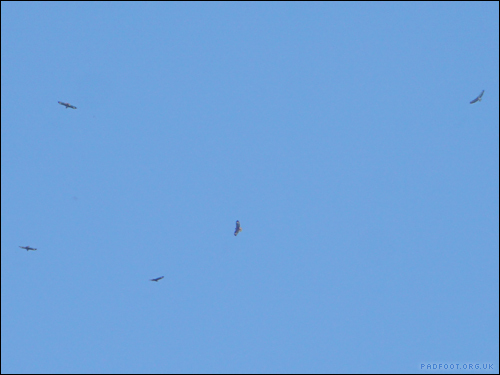 They were a bit high up to get a really clear photo, but zooming in on the pictures, it’s definitely 4 regular coloured Buzzards, and one which seems to have paler wings (top right in the second photo). 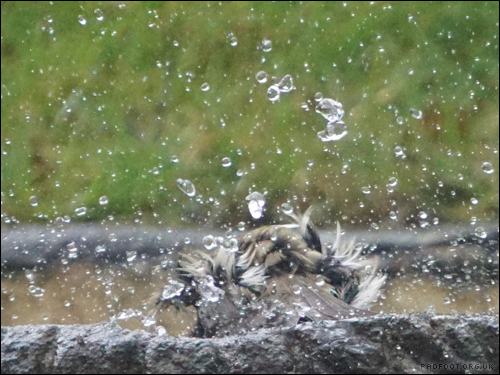 This entry was posted in Dragon Goes Wild and tagged #StayWild, Birds in flight, Buzzards on April 20, 2018 by Dragon. 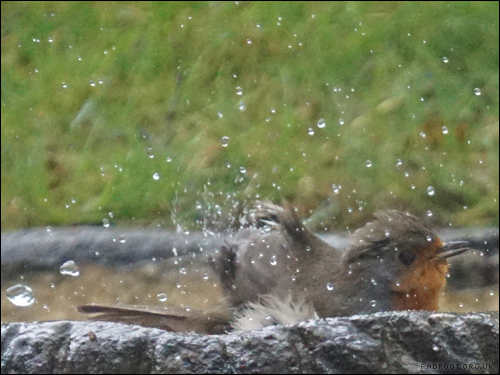 Not to be outdone by the Blackbird, the Robin came for a bath today – I didn’t think it was possible, but the Robin splashed more water out of the bath than the Blackbird did! 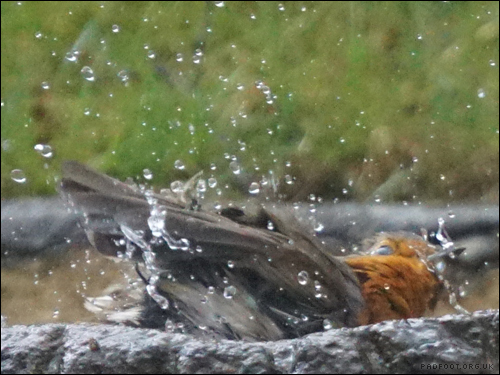 This entry was posted in Dragon Goes Wild and tagged #StayWild, Bird bath, Robin on April 8, 2018 by Dragon. 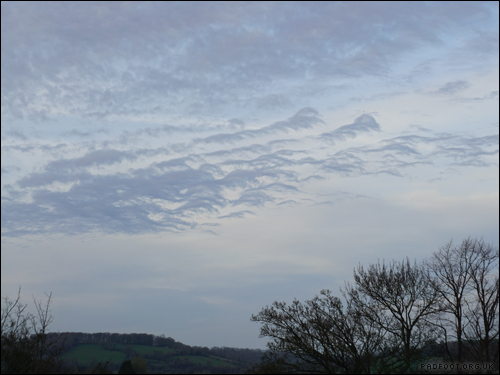 Just a simple cloudscape today, but it’s one of those clouds I haven’t been able to identify other than it being “photogenic”! 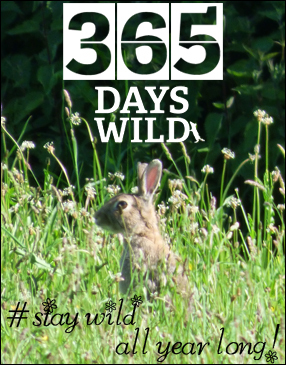 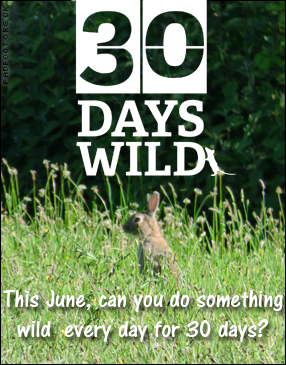 This entry was posted in Dragon Goes Wild and tagged #StayWild, Cloudscape on April 7, 2018 by Dragon. 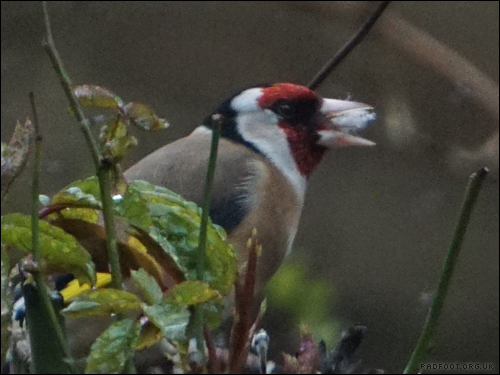 We’d planned to cut back the seedheads from the plants this week, but the Goldfinches were still tucking into them – I guess we’ll leave the plants a bit longer yet! 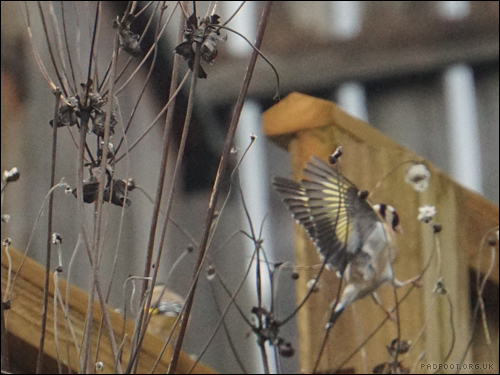 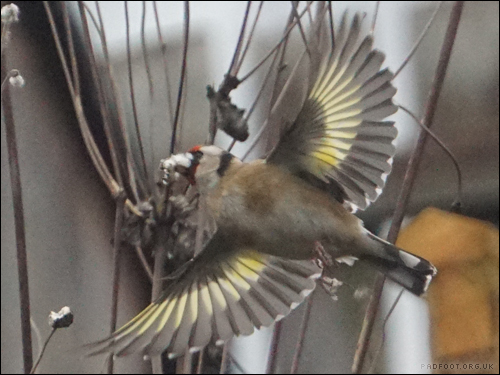 This entry was posted in Dragon Goes Wild and tagged #StayWild, Birds in flight, goldfinch, seed on April 6, 2018 by Dragon. 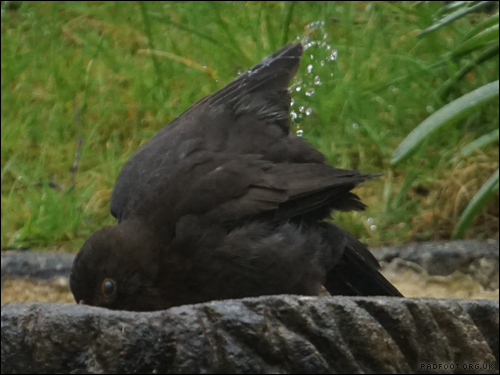 This entry was posted in Dragon Goes Wild and tagged #StayWild, bathing, Bird bath, Blackbird, splash on April 5, 2018 by Dragon. 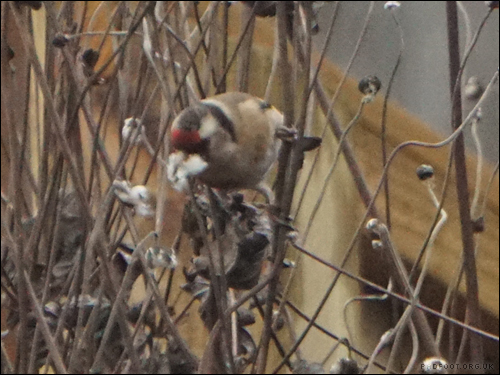 It wasn’t the sight I expected when I looked out of the window this morning – I saw what I thought was a seagull and a smaller bird in the distance. 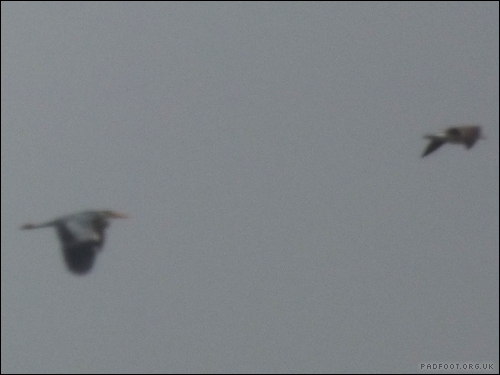 What it turned out to be, was a Heron and a seagull even further in the distance than I’d first thought! 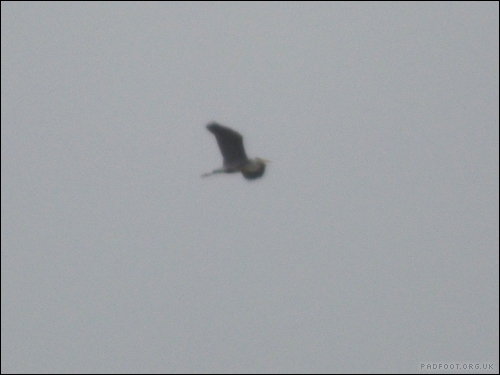 This entry was posted in Dragon Goes Wild and tagged #StayWild, Flying, heron, seagull on April 4, 2018 by Dragon.